I delved into the Ulysses Release Archives to find some awesome releases that I could give a second life! One of them is UccTV. An impressive addon that lets you watch all your players at once. 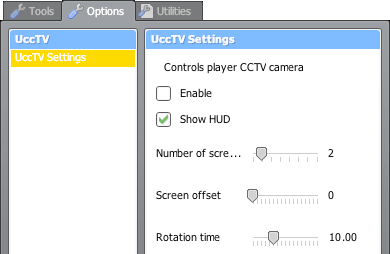 UccTV lets you spectate all your players on your server simultaneously. It splits your screen up into however many views you want and you get a real-time monitor of the players! Thanks to Megiddo for the original release! Extract the downloaded zip archive into your addons folder. 1. Make sure you're an admin or have ucctv access. 2. 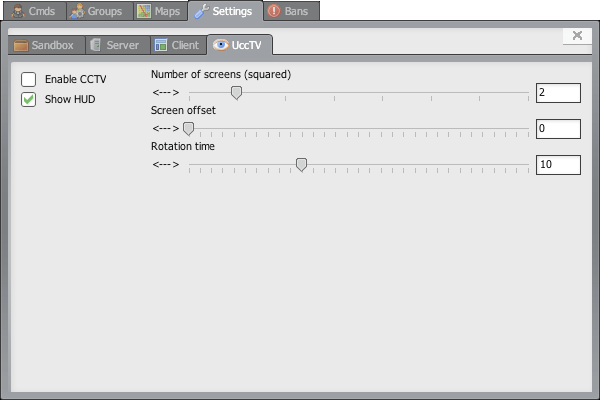 Configure and activate UccTV from the spawn menu or XGUI. • You can’t see yourself in another player’s view. • Your "hands" will be drawn on top of everything else if other players are looking towards you. Nice to see this one revived! This was very useful back in the day when we were running our own community servers. Hey! This is one I'm very happy to see resurrected. I LOVED using this on our server. Freaky. but i like it now make it work at home. This is really great! Is there any chance you will add something that can be used to select the exact players I want to watch? That would be awesome!